The Mark 1 Lola built in 1958 was the first in a family of cars that eventually participated in Grand Prix, Indianapolis and Le Mans. 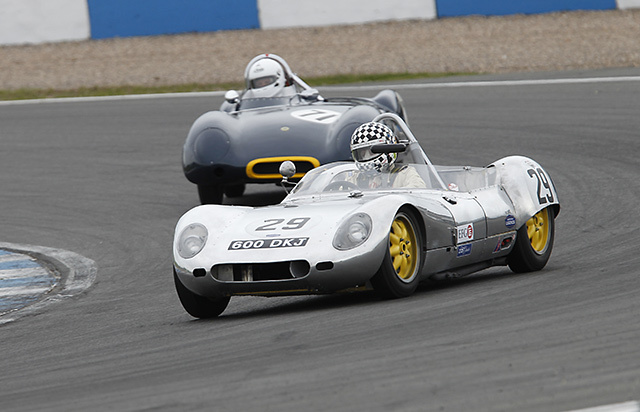 The first car built by Eric Broadley has a welded spaceframe chassis and unpainted aluminium body. 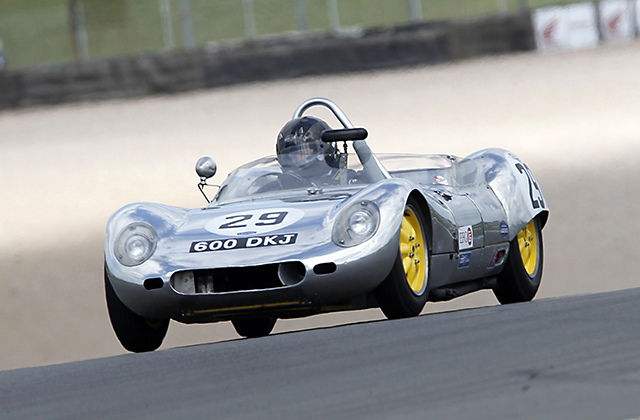 Powered by a Coventry Climax 1222cc lightweight engine. The car has all independent suspension, drum brakes and alloy wheels. Its performance is very much attributed to only weighing 400 kilos. It was an immediate success on the race track starting regularly on pole position at Goodwood in 1958 and 1959. The prototype attracted such attention that a production run of 30 cars followed. 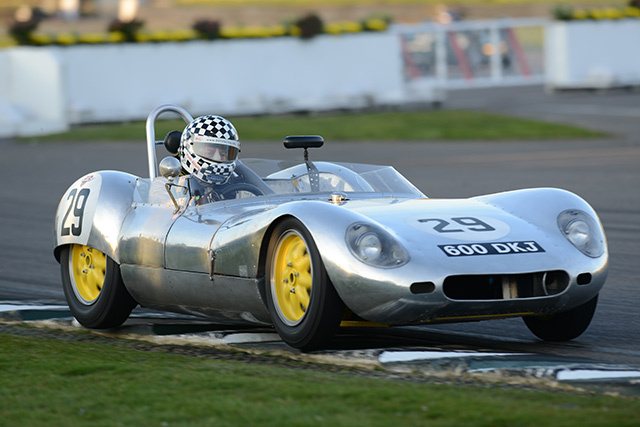 For the last four years the car has competed in the Motor Racing Legends Stirling Moss Trophy taking fourteen Class wins and two second places in sixteen races. 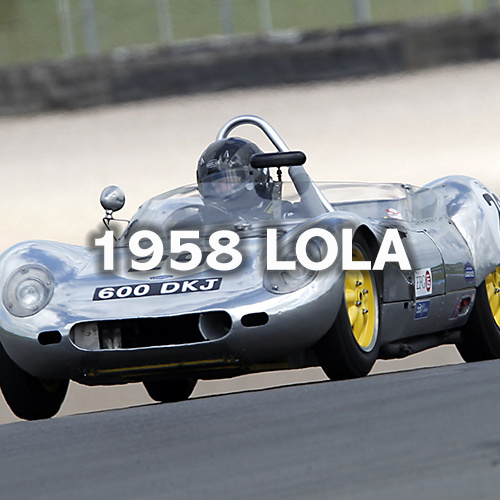 Lola Cars was a brand of the Lola Group, which combined former rowing boat manufacturer Lola Aylings and Lola Composites, that specialized in carbon fibre production. Lola was one of the top chassis suppliers in the 1960s. After its small front-engined sports cars came various single-seaters including Formula Junior, Formula 3, Formula 2 and Formula 1 cars. Broadley designed Lola Mk.6 coupe fitted with the Ford V8 engine. Ford took a keen interest in this and paid Broadley to put the company on hold for two years and merge his ideas with Roy Lunn’s work, giving rise to the Ford GT40. Broadley managed to release himself from this contract after a year and started developing his own cars again, starting off in sports cars with the Lola T70 and its successors (T16x, T22x) which were used successfully all over the world from the World Championship for Makes to the CanAm series, until 1973. In 2005, Lola announced that a new batch of T70 coupés, to the original specifications, would be released. These will be homologated for historic racing and there is talk of a one-make series for the cars. Various Group 5 and Group 6 sports cars including the T212 and T28x/29x/38x/39x series were also built, competing with Chevron, March and others. Alain de Cadenet’s Le Mans ‘specials’ tended to be based on Lola technology.